they need a bench...i wrote in the game thread, even single one can go. They have the issue of whether Beard returns or not. Big defensive player for LA. I believe Carson is a UFA. So there's two main players in their rotation that may not be back next season. Players 9-12(Wiese, Jackson-Jones, Gruda, Diarra) are all disposable. Would really help Agler if he had a deeper bench. Lindsay Whalen to start spitting out babies. They need size and better depth. Lavender isn't cutting it...they need a suitable replacement for her IMO. Someone who defends well and can crash the boards. I do think they are the favorite to win it all next year if they can keep the starting 5 in tact. Really good crop of starters and hopefully they'll play with a chip on their shoulder next season. I second that. I like Lavender as a person, but she's the softest 6'4 center in the league. Maybe the world smh. I'd put her on the trading block and see what we could get in return. I'd re-sign Carson amnd Beard as well. I know she has been a chemistry killer in the past, but I'm serious about LA signing Kelsey Bone. Im sure she thinks she's a starter (not saying she isn't, jus not in LA) but if she wants to win a ring and enjoy nice weather while doing so she'd give us a look. We also need a small forward/back up guard who can shoot the three. We should've never traded Ohea. Who did we get in return? Even Dabo could've been used, although she wasnt the best outside shooter herself lol. I hope Alana comes back. If not thats another big whole to fill. IDK. Still pissed about those damn refs. Guess I know how Minny felt last season. I just dont like any of them. Except Augustus for some weird reason. What shooters can we sign? Only shooter in my head is Quigley and I know Chicago aint giving her up. Lavender for S. Johnson or T. Mitchell? Lavender was mediocre this season. I wonder if she comes back improved in 2018? Their options are Bone, Swords or hoping Diarra is a 6th woman. Only ones that should/will return are: Parker, Ogwumike, Sims & Gray. Everyone else is questionable. We need home town refs like the Lynx have. Not like the fake foul on Nneka and the push out of bounds on Parker with no foul. Whalen fouls every time she drives. Don't forget Maya's wolf tickets! My goodness, how is it possible that some Lynx fans are both poor losers AND poor winners? The officiating has been pretty bad. I really don't know how they go from game 4 allowing all kinds of physicality to phantom "air" fouls and missed calls in Game 5. But hey, it is what it is and the truth is that we saw this inconsistency throughout the season. On nights where there were multiple games on, I was amazed to note the vast difference in the way games were called In some cases, blood was needed to draw a foul and in others, a touch was enough for a foul. At any rate, as a LA fan, I can live with the result tonight. I wish they came out with the same effort in game 4 but we move on and live to fight another season. Ok on to LA 2018: Yep, we need Beard back, a bench filled with folks that Agler can at least trust in stretches, a three point specialist (maybe Riquna/Wiese are it? We'll see) I'm not quite ready to give up on Lav but agree that it seems she took a step back for whatever reason. I'm wondering if Essence is 100% and if not, whether she can get back to how she played in NY. Definitely, A true center would be great! I liked Bone 3 seasons ago but am wondering why no one picked her up this season. Is she really that much of a chemistry problem? The last center LA had was Tolo and sadly, she got injured. Hey since we're talking Bone, can we add Cambage back into the mix? Does anyone think that Angel would come out west? I would love for Bone to go to the Sparks! Biggest question I think is whether Beard stays, as that dramatically affects our needs. Keepers for me are Parker, Ogwumike, Gray and Sims. Probably also, Wiese. Yes, she is a defensive liability, but she is on a rookie contract, and I think she could crack the rotation with some improvement on the defensive end. If Beard stays, then you have six. I would also like Willliams to stay. Just not sure if Agler and her work together. She came back from injury and struggled early, and didn't get many minutes later. With her, that;s 7. Questionables for me are Carson and Lavender, such key cogs in the championship season, but who noticeably regressed this season. Gone are Gruda, Diarra, TJJ. So 7 possible keepers, 2 maybes, and 3 gone. Biggest needs is the three position and five position. Some have suggested Bone. She seems like a chemistry killer, but maybe with the right tutelage, she could contribute. Perhaps this has been suggested before, but a trade involving Lavender and Chiney. Yes, Chiney is younger but she is injury prone. She seems to be a much better defender than Lavender, but does not have quite the same offensive versatility. Not sure if that is way out of left field, but I am sure the sisters would love it. If JLav could be in the rotation as a 4 only I think she'd be fine. She just can't guard the real bigs. And as hard as Nneka tries, Syl being 4 inches taller is just too much for her to handle. I agree they could use a big banger center...but then that's true of most teams not named Minnesota. And the outside shooting, or lack thereof, was IMO the difference in the game. 2-18??!! That is beyond pathetic. 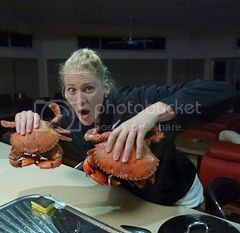 And as I said earlier, there's no excuse for Candace to keep hoisting them up. She can drive and create, but throwing them up (and away) from the three point line where she was pretty terrible all playoffs, is just stupid. Unlike Debbie Antonelli, I don't think shooters should just keep shooting when they are missing so badly. If you're cold, spend a bunch of time in the gym until your shot comes back and if it's not there, do other things. People seem to like this trade. It might have to be upgraded to Lavender and RWilliams, unless Miller prefers Wiese. If Beard stays and R. Williams comes in healthy would LA consider Sims for Stokes and #10. Stokes can give you some help against Fowles and Griner off the bench, and #10 along with LA's own #11 pick gives the Sparks two new decent rookies, and rookie contracts to add to the team and keep the cap reasonable to try and grab another decent free agent. NY needs to increase it's offensive output and star power. If not Stokes, what about Rodgers and #10. Rodgers is a strong defender and does have that outside shot. I think Sims is better than Rodgers, but Rodgers might be able to do the role Sims does for LA, and is slightly less likely to do the hero ball thing at the end of important games when she can defer to Parker or Ogwumike, NY on the other hand might benefit from her hero ball style. Keeping it on LA getting Cambage would be amazing, she wants to play in LA, might be the only super star level player who might not mind coming off the bench, and might be able to bring some other Aussie's like O'hea with her. 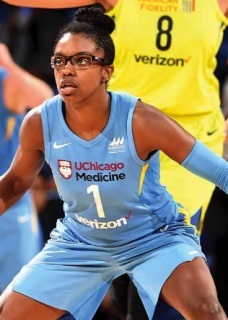 I also think K. Thomas in Washington might be a free agent, she would be a great fit for what LA needs. Sparks would be foolish to let Lavender go IMO. She had 1 off season. She stayed with the Sparks last year even though she could of gotten a bigger role and more minutes on another team. Like i said before she is more of a PF then a center. So going after a center like Swords is a good idea. Agler likes pick&roll action where Swords can come in handy.